Reuters is reporting that Intel is pursuing a creepy little venture, in conjunction with cable providers, which involves a set-top box, recognizing your face and then targeting ads. The report suggests that, while the technology wouldn't go as far as identifying individuals, it could provide data such as age and gender. From there, it would be easy to target ads, depending on the demographic sat in front of the TV. Apparently Intel is already in talks with content providers to negotiate how it could be rolled out, and how specific channels could be targeted in the first instance. It's easy to see the attraction for the companies involved: in theory, such a system should significantly improve the ability to generate ad revenue. 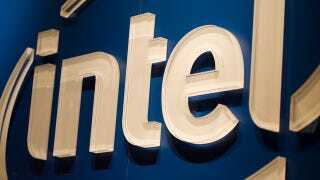 The report also suggests that Intel is hopeful that it could roll a system out by the end of the year.